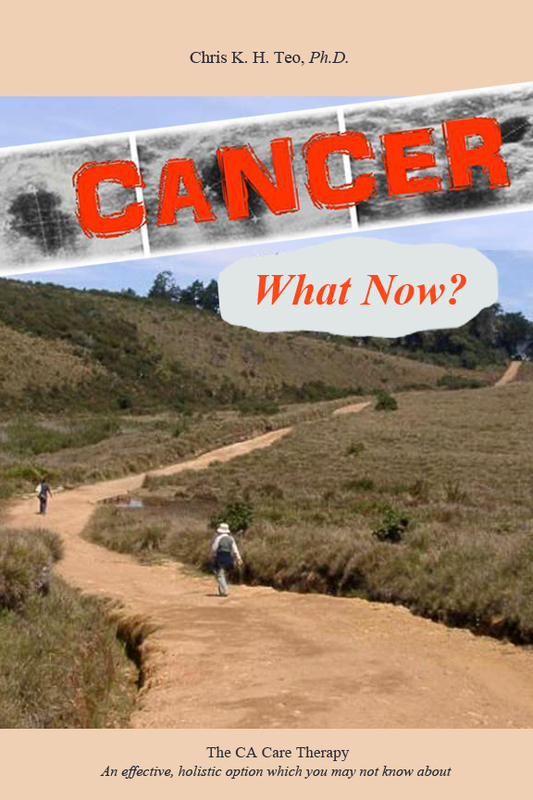 HomeCANCER STORY: Success & Hard TruthCancer – What Now? I have tried to answer in detail most of the questions that cancer patients are looking for – What to do after being diagnosed with cancer? or What do I do now that the treatments I have opted for failed? By writing these two books I have spent much time trying to address all your major concerns. It is now your turn to do something for yourself. Read and understand what I have written, that is if you want to know my views about cancer. With this background knowledge, I hope it will help you plot the next stage of your cancer journey. Over the years, many cancer patients came to seek our help. They came with one main aim in mind – to find a cure for their cancer. Unfortunately I cannot offer a cure! If there is one message I can impart to all those who come, it is this: Cure for cancer is elusive – in fact, to me, based on patients’ experiences, I come to a conclusion that there is no such thing as a cure for cancer. I am sorry indeed for this disappointing message. But, that is the truth as I see it of now. I don’t want to dash your hope or dampen your spirit but I know that I am not being honest if I am not truthful with you. I would rather ask you to face reality from the very beginning and from there we begin to look for the silver lining together. Since this is an important subject and can be confusing, I have devoted an entire chapter explaining what I mean by no cure for cancer.